Loom & Leaf and Casper are two mattress companies that have recently taken the foam mattress industry by storm. 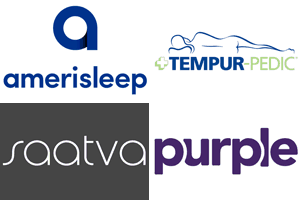 The mattress industry has long been seen as a secure industry controlled by four or five major companies. But technology has seen the market changing rapidly, the internet and access to manufacturing has made it much more simple for individual companies to enter the market. Both of these firms have received glowing reviews from their customer bases – they’re also two of the most affordable producers on the market. In this review, we will overview these two mattresses and provide you with all the information you need to understand which may be the best option for yourself. Remember, everyone has different preferences, so it’s important to understand what you value in a mattress – knowing what you like is the first step in choosing the right mattress. As mentioned previously, the Loom & Leaf mattress has managed to bring affordability to the top-end mattress market. They’ve made it possible for people of any financial standing to be able to afford a quality mattress. Gone are the days that a high-end mattress is a dream instead of a reality. If you do purchase a Loom & Leaf mattress, it also comes with a wide variety of benefits. You will receive a 15-year warranty, which is considerably longer than almost any mattress manufacturer on the market. There is also a 120-money back guarantee – which is also a lot longer than the industry standard of 100 days. The only downside is that shipping is not included in the cost of the mattress, but prices do not exceed $100. All Loom & Leaf mattresses are manufactured in the United States. The Loom & Leaf mattress is constructed using four separate layers. These layers are designed to bring their own individual benefits to the Loom & Leaf mattress. This is one of the thickest mattresses on the foam mattress market – it’s 12” thick in total. As with any top layer on a mattress, this layer is in place to provide as much comfort as possible. This is the only layer that you will come into direct contact with on the mattress and it is therefore one of the most important parts of the mattress. This layer is 2” thick and is produced using gel foam which is a unique top layer that only exists with this mattress. It even has breathable exit points to add to the cooling abilities of the mattress. This ensures that you won’t get too hot while asleep on this mattress. This is another layer of the mattress that is designed for comfort. It is made from visco-elastic memory foam and is 2.5 inches thick. This is a great addition to the comfort based part of the mattress. Because memory foam can often retain heat, this is used as the secondary layer instead of the first. This layer is a 2” loft pad – it provides a buffer between the comfort and the support of the mattress. This is the perfect transition for the mattress. This is the last part of the mattress and it is also the support structure of the mattress. Without this, you wouldn’t be able to have all the comfortable parts of the mattress – you would simply sink to the bottom. This is made from 5.5” of high-density foam, which gives a great level of firmness for the rest of the mattress. Loom & Leaf uses these four layers to provide an exceptional mattress. Each layer has its own unique benefits which contribute to an overall awesome product. 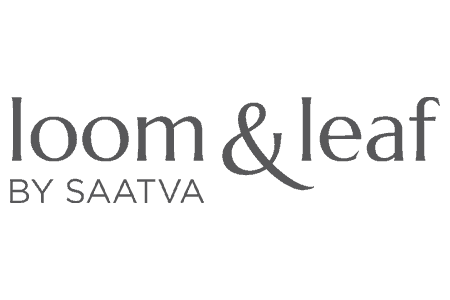 The cover for the Loom & Leaf is slightly different to many foam mattress covers. Instead of Polyester, Loom & Leaf use organic cotton to produce their covers. There is also thistle inside the cover. You may wonder why Loom & Leaf use such extravagant materials for their mattress covers but a lot of the answer comes down to safety. These materials are a lot less flammable than many of the materials used by other mattress companies. The mattress cover is also in place to provide additional support for the mattress. Many people don’t like having such substantial covers for their foam mattresses, as it can sometimes retain heat. But Loom & Leaf have put considerable focus into minimizing heat retention in the top layer of the mattress, so you won’t likely feel too warm in this mattress with or without the cover. Loom & Leaf have done a great job of creating a mattress that is exceptionally comfortable. One of the major drawcards of this mattress is that it actually allows for two different comfort designs. Many modern foam mattresses only provide one type of mattress – which can be quite limiting if you have certain preferences. 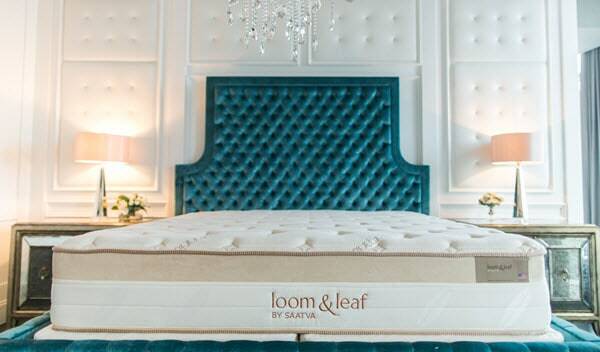 The Loom & Leaf mattress comes in ‘Firm’ and ‘Relaxed Firm’. The Loom & Leaf Firm mattress is an 8/10 in terms of how much support it provides. This is a lot more support than the average foam mattress, which is a surprise given how hard it is construct a firm foam mattress. This is the perfect mattress for someone who is looking for a lot of firmness. In addition, if you happen to be a heavier sleeper, this is one of the few foam mattresses that you will be able to get a great night’s sleep from. If you happen to be very light, you might find that this is a bit too firm for you. For people who are not as heavy, this mattress can give you the feeling that you’re floating on top of it – which is sort of a strange sensation if you’re not used to it. For those who don’t want a mattress as firm, the Loom & Leaf Relaxed Firm mattress is another great option from the same company. Instead of an 8/10, this mattress comes in at a 5.5/10, putting it right in the middle of the pack in terms of support. For those who don’t want as firm of a mattress as the previous one mentioned, this is probably your best option. 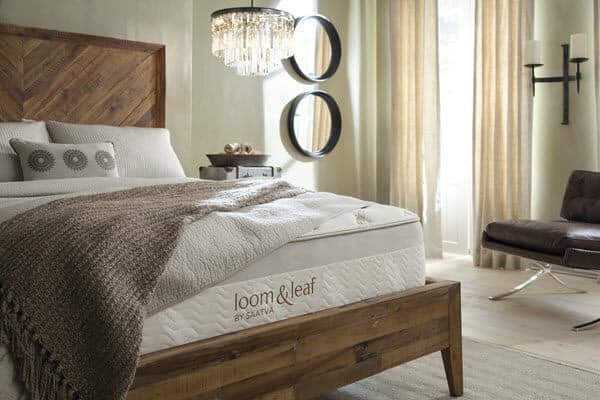 Another great advantage of Loom & Leaf is that they provide way more comfort foams than your typical mattress provider. Because this mattress is much thicker than your average mattress, you’ll find that it has a lot more to give in terms of comfort. On top of this, it doesn’t have to sacrifice any support. The prices that Loom & Leaf offer are much less than those offered by the more well-known memory foam brands. In comparison to Casper, they are a bit more expensive, but they’re still an extremely competitive price point for the market they’re in. A full list of the prices of different mattress types by Loom & Leaf is provided below. Keep in mind you will have to add shipping costs onto the price of the mattress. Shipping – takes 7-15 days from the time you place your order. The delivery personnel will set the mattress up in your home, and the price ranges from $85-$99 depending on where you live. Trial Period – 120 days. About 20 more days than most other companies offer, but we’re not sure that 20 more days will be the difference in deciding. Returns and Refunds – There’s no restocking fee if you want to return it during the trial period. USA Construction – The mattresses are composed of materials that are sourced from 19 different factors across the US and Canada, and then is assembled in the USA. High-Quality Materials – the foams are plant based and the cover is made from organic cotton and natural thistle to impede flames. 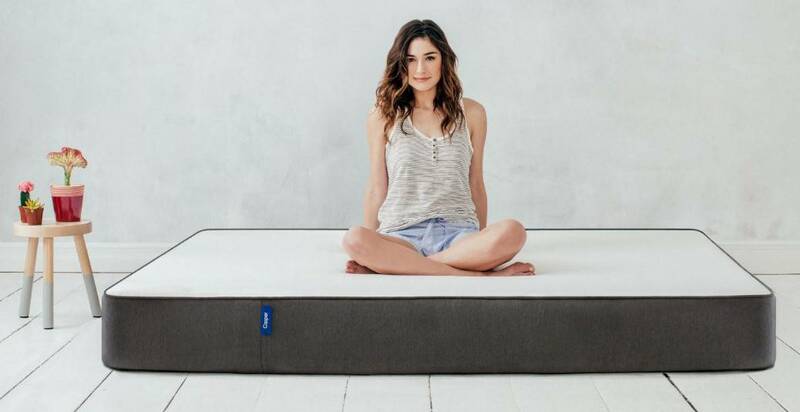 Casper is another one of the low-priced top-end mattress producers that has taken the country by storm. In fact, Casper has probably grown to be the most well-known brand in this market segment. This is for a reason – they have developed an exceptionally advanced and comfortable mattress for a relatively low cost. If you purchase a Casper, you’ll also be getting a range of benefits. It comes with a 10-year warranty, which is long, but five years shorter than that of the Loom & Leaf. There is also a 100-day money back guarantee, which is 20 days shorter than Loom & Leaf, but still plenty of time to make up your mind. In addition, you get shipping straight to your door step completely free of charge – an advantage that is not shared with Loom & Leaf. Like Loom & Leaf, the Casper mattress is constructed using four different segments that each provide their own benefits. These layers are intended to create the perfect mattress, and they do a pretty good job at doing so. A further look at the layers that make up the mattress is provided below. This layer is 1.5” thick – it’s put in place to be the most comfortable part of the mattress. Casper has used advanced poly foam to create this layer – which means that it is both comfortable and breathable. It is also a highly responsive material that allows for additional benefits that you might not find in a mattress made of pure memory foam. This layer is also 1.5” thick, but instead of poly foam, it is made with memory foam. This part of the mattress is also in place to provide you with as much comfort as possible. This part of the mattress retains heat so it is buffered by the top and third layer. This is another 1.5” of advanced poly foam. It also helps make the mattress breathable, as well as provides a transition layer to the bottom support of the mattress. You may be concerned with comfort but support is just as important. Without this part of the mattress, you’ll never be able to enjoy the top layers. This is made with 5” of advanced, highly dense foam. It provides the perfect amount of firmness for you to be able to enjoy the rest of the mattress. The cover on the Casper is designed to be as minimalist as possible. Casper doesn’t want you to end up not experiencing the mattress because the cover is too bulky and thick. They have created a thin cover that is designed different on the top and on the sides. The top is white and is manufactured using polyester. The sides are grey and use a combination of polyester and polypropylene. This means that the top allows you to experience the mattress as much as possible, while the sides add extra edge support to ensure that mattress maintains its strength and shape. Unlike the Loom & Leaf mattress, the Casper only comes in one type of mattress. The mattress scores similar to the less firm Loom & Leaf Mattress – it comes in at a solid 6/10. This is plenty of support for someone who does not weigh a lot, but for heavier sleepers it might not be substantial enough. One thing that is really great about the Casper mattress is how much bounce it gives you on the top level. Many foam mattresses result in you sinking into them, which isn’t great for those who don’t enjoy this sensation. With the Casper, the top poly foam layer creates bounce that prevents this hugging effect. In addition, the Casper is one of the most breathable mattresses on the market. It provides the comfort of memory foam without the heat retention that often comes with it. Casper is slightly cheaper than Loom & Leaf. They provide great low-cost mattresses. In addition, you can split up your payments through financing if you don’t want to pay for the whole thing upfront. Shipping – Casper offers free shipping and will deliver in 2-7 days, although Amazon Prime customers can get guaranteed two-day shipping. If you’re trying to decide between Loom & Leaf and Casper, the decision really comes down to preferences. The mattresses are priced in the same price brackets, although Casper is slightly cheaper. Both mattresses breathe well and do a great job of reducing any heat build up on the mattress. In addition, they’re both extremely comfortable. If you’re looking for something firm, you should opt for Loom & Leaf, they’re one the only mattress providers that can provide a foam mattress as firm as the one they offer. For those who don’t need as firm of a mattress, both Casper’s mattress and Loom & Leaf’s less firm mattress are great choices. Both utilize four different layers to provide as much diversity to their designs as possible. One upside of Casper is that they use a much thinner cover, which allows you truly experience the mattress you’re purchasing. While Loom & Leaf have the best warranty and money-back guarantee, Casper provides completely free shipping for all their mattresses.